The 2015 GWCT Scottish Auction takes place on Thursday 14th May. The event sold out within two weeks but that doesn't mean you have to miss out - you can view the auction lots online and bid on them right here. 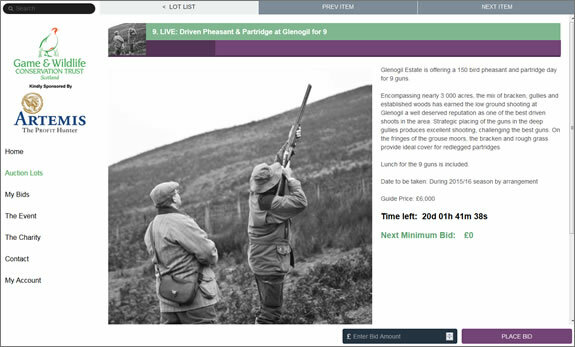 Once again we have a spectacular range of over 125 lots that encompass shooting, stalking, fishing, holiday retreats, food and drink and art and jewellery.